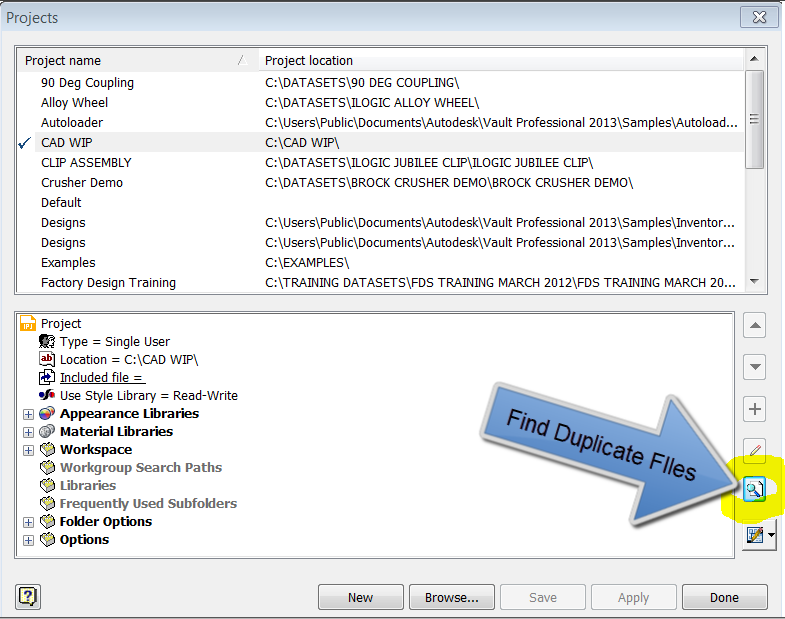 Continuing our series of very useful/often overlooked Inventor tips: If you are trying to move from multiple project files to a single project file, or are having problems with duplicate file names (multiple files with exactly the same name exist within your .ipj project file search paths) then the ‘Find Duplicate Files’ tool should be very helpful. 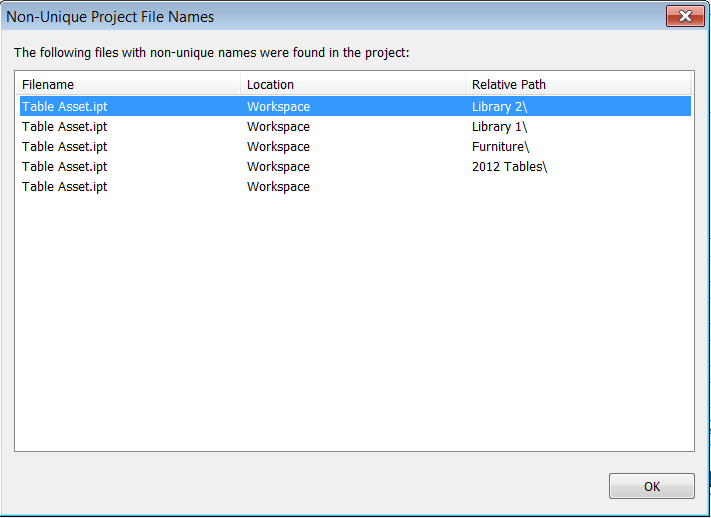 Simply activate the project that may contain multiples identical filenames and hit the ‘find duplicate files’ button as shown. You will then receive a dialogue box listing all the duplicates found. As you can see, my project file can see 5 files with the same name in its search paths. Note that this will scan ALL of the search paths in the project file (including any libraries and workgroup search paths). This should make it much easier to find and eliminate the redundant copies of your files.